308 in stock Need More ? 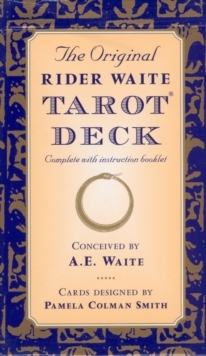 The Original Rider Waite Tarot is the most popular and widely used tarot card deck in the world. First issued in 1910, each card is rich in symbolism and striking in its design. Divided into the Major and Minor Arcanas, the cards were designed by Pamela Colman Smith in accordance with A.
E. Waite's instructions. An instructional booklet is included, explaining the tarot card meanings and how to use the cards for divination, with an introduction by Stuart R.